Dark garnet color. Aromas and flavors of berry pie and soda with an tart, fruity light-to-medium body and a smooth, charming, crisp finish with notes of blackberries and Asian pear and honeyed mint tea finish. A very vinous, precisely balanced berry flavored mead. Bottom Line: A very vinous, precisely balanced berry flavored mead. Melomel is a traditional mead to which fruit has been added. 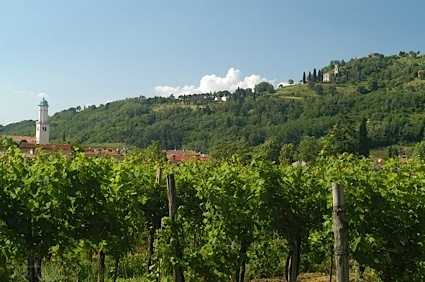 The fruit character is the driver here, and whether dry or sweet should be very evident. Key here is a natural, ‘off-the-vine’ evocation rather than any suggestion of artificial flavorings. 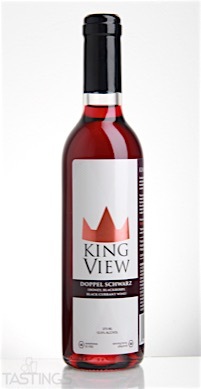 KingView Doppel Schwarz rating was calculated by tastings.com to be 88 points out of 100 on 12/14/2016. Please note that MSRP may have changed since the date of our review.